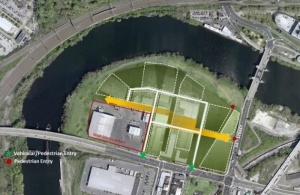 The University of Pennsylvania is currently in the planning stages of constructing a new research campus along the Schuylkill River. The South Bank of the Schuylkill, pronounced ‘SKOO-kəl,’ is a vital component of the University of Pennsylvania’s campus development vision. The Penn Connects 2.0 strategy has added 3 million square feet of space to new UPenn research campuses since 2006. The new research campus on the South Bank is envisioned as a way for the school to press forward with research and innovation. Scientists and entrepreneurs at the University of Pennsylvania will be able to use this space to commercialize their work with new products, services and start-ups. The University of Pennsylvania is one of the most cutting-edge research universities in the country with more than $700 million in annual R&D expenditures. Penn has a research budget of $923 million, while researchers at the university received $884 million in external funding awards in 2012. In 2013, scientists at the University of Pennsylvania received $451.2 million in science research funding from the National Institutes of Health and $38.4 million in science research funding from the National Science Foundation. Earlier this spring, the University of Pennsylvania also received a $3.25 million gift to establish the Penn Medicine/ CHOP Friedreich’s Ataxia Center of Excellence. Penn Medicine has been working in conjunction with CHOP and FARA (Friedreich’s Ataxia Research Alliance) for the past 16 years to advance research and therapies for FA patients. 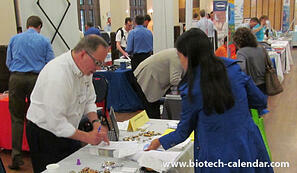 Given the wealth of science research funding and new research campus development plans at the University of Pennsylvania, lab suppliers working to reach a market of well-funded researchers, lab managers and purchasing agents won’t want to miss Biotechnology Calendar, Inc.’s upcoming BioResearch Product Faire™ Event at the University of Pennsylvania on May 14th, 2014. Last year, this event attracted 423 attendees, including 130 purchasing agents, professors and post-docs, and 64 lab managers. Biotechnology Calendar, Inc. is a full-service science research events-planning and marketing company that organizes research trade shows at top-funded universities across the country. If you are a life science professional interested in attending or exhibiting at an event closer to home, we encourage you to view our 2014 calendar of events. For more information on the BioResearch Product Faire™ Event at the University of Pennsylvania, or to get more funding statistics for the University of Pennsylvania, click on the button below.